This MSc is designed for professionals working in adult mental health and social care, this MSc will enable you to develop the skills and knowledge to critically evaluate approaches to mental health and transform care. The normal period of registration for this programme is one year’s taught programme for full time students (plus up to one year for dissertation) or two years’ taught programme for part time students (plus up to one year for dissertation). The maximum period of registration for this programme is five years. Workers from a wide range of allied statutory and voluntary agencies. The course will help you develop an understanding and knowledge of adult mental health and the ability to work effectively and collaboratively across professional agencies. develop the skills, knowledge and awareness in the assessment and formulation of mental health problems, evidence-based psychosocial interventions and contemporary issues in mental health. evaluate approaches to compassionate mental health care and consider innovative ways of meeting the mental health needs of individuals and communities. To apply for this course, you should have a lower second-class honours degree or the equivalent from an international institution in a relevant subject. Currently working in an agency with responsibility for aspects of inter-professional practice relating to your own discipline. You will need to provide two references (at least one reference for recent graduates must be academic; other references could include a current employer). You will need to provide the referees’ work contact details for us to contact the referee separately after we have received your application. If you have previously completed credits from a Masters level qualification that can be matched to credits on the programme qualification you would like to apply for, then you may be eligible for RPL or RP(E)L.
Recognition of Prior Learning (RPL): “where credit is awarded for learning derived from study at this or another institution which has previously been assessed and/or awarded credit”. For more information on the policy, the maximum credits permitted and how to apply, please see the Guidance on Recognition of Prior Learning (RPL). If you have any queries about the process, please contact the Postgraduate team: . years history of delivering nursing education. in London for Nursing (Guardian University Guide 2018). Full time: One year's taught programme for full-time students (plus, up to one year for dissertation). Part time: Two years' taught programme for part-time students (plus, up to one year for dissertation). Full time: One year's taught programme for full-time students. Part time: Two years' taught programme for part-time students. Part time: One year's taught programme for part-time students. Postgraduate Certificates are not offered on a full-time basis. The maximum period of registration for a Postgraduate Certificate is two years. For those starting in September 2019, there are up to 12 Dean's Scholarships available, based on academic and clinical excellence. Each scholarship is worth £2,500, and will be awarded to students across all the routes of this course. Find out if you qualify and how to apply. At the School of Health Sciences, we believe that exceptional academic and clinical performance should be recognised and rewarded. We have several scholarships available for students starting on our courses this September and January. To find out more, visit the School of Health Sciences Postgraduate funding page . Simulated practice enables you to practise your learning in a safe environment, in preparation for transferring your skills to a 'real life' setting. Our specialist Clinical Skills Centre at City’s Northampton Square Campus has been designed especially for teaching and reflects clinical environments and working wards, so you can familiarise yourself with equipment and practices before commencing placements. Modules are run by experienced practitioners and leading researchers, using a variety of direct and interactive teaching methods. You will learn in large and small multi-professional, multidisciplinary groups and will be supported to participate in independent learning. Assessments are varied to meet the practice and academic challenges of a Masters level course, while recognising the need for motivating, realistic and relevant activity. Seminar presentations with supporting papers. Students must gain 60 credits for a Postgraduate Certificate and 120 credits for a Postgraduate Diploma. The addition of a dissertation leads to an MSc. Details of modules are listed below. This core elective module is designed for those involved in mental health services as clinicians, managers, and researchers. The module will link knowledge of condition distribution and risk factors with approaches to problem assessment, and will maintain a clinical and service user informed approach, which will assist participants’ abilities to contribute to the development and direction of service provision. You will develop your understanding of the distribution and impact of mental health problems at a global, national, and local as well as an individual level. You will explore the epidemiology of mental health problems in relation to social and environmental factors, and examine the relationship between mental and physical health. 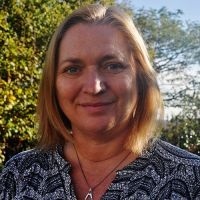 The module will include critical exploration of the evidence for establishing and maintaining therapeutic relationships; the use of Cognitive Behaviour Therapy (CBT); case management and personalisation; family work/interventions; medication management; motivational interviewing; and recovery approaches across mental health service environments. You may select to explore other particular interventions of interest where appropriate. This module is specifically designed to provide mental health practitioners, researchers, and managers with critical awareness of contemporary debates in the field of mental health. This will include mental health policy, human rights, the political and practice landscape, influence of key consumer groups, patient safety methodology, legal aspects of mental health and novel practice initiatives. This evidence-based dementia care module aims to develop the knowledge base, skills and competencies of health, social work and social care practitioners to enable them to deliver high-quality dementia care in a wide range of settings. The module aims to enhance your understanding and application of theoretical concepts and a range of evidence to guide the care for people with dementia and their carers. You will gain a deeper understanding of the lived experiences of people with dementia and their carers. You will be able to integrate the learning into your role as a health and / or social care practitioner, working with people with dementia and their carers, and be able to deliver evidence-based dementia practice/care. You will be equipped to respond better to increasing pressures on the current healthcare system, including the rapid rise in the ageing population, increase in the number of people with dementia and the growing need to work creatively across traditional boundaries. You will be guided to identify and critique the evidence base for quality dementia care delivery. Your knowledge of evidenced-based practice in dementia care will be enhanced and challenged through a structured process of critical analysis and evaluation of the available research for efficacy and applicability to varied care situations and settings. In this module, you will critically examine the evidence-base surrounding risk assessment that identifies predictability; systemic approaches; vulnerability for the child, adults and older adults; dangerous and suicidal behaviours; person-centred interventions. The importance of recognising and building on the service users’ strengths. The organisation’s role in risk management alongside the individual practitioners. This module will provide an inter-professional course which develops and/or enhances the knowledge and skills of those working or planning to work in the field of Liaison Health Care. Models of liaison care and team working. Current practice and care of the client with severe mental illness. Risk assessment and management of deliberate self-harm and suicide. Liaison mental health care in relation to older adults. Liaison mental health care in relation to the child and adolescent. Legislation and liaison mental health care, including capacity and consent. Liaison mental health care in relation to mental health and physical illness. Liaison mental health in relation to substance misuse. Evaluating liaison mental health care. This child protection module is aimed at any student working professionally with children, young people and/or their families and carers. The main learning objectives will focus on developing student’s knowledge and awareness of the safe and ethical implementation in practice of safeguarding policy and legislative frameworks to promote effective interagency and collaborative practice in the statutory and voluntary sectors in line with Working Together to Safeguard Children (HM Government, 2006). You will examine and evaluate knowledge and skills to understand and identify risks and vulnerability and to consider the concept of resilience and its promotion in line with the emotional well-being of the child and its family. The module will be delivered collaboratively from a child health, and a child and adolescent mental health perspective. The delivery of successful health and social care services relies on effective leadership. This module takes a perspective that leadership is to be found in the many rather than the few. We are all leaders. Therefore, the aim of the module is to help you recognise and develop your inherent leadership qualities, and have regard for the leadership qualities of others, whether peers and working colleagues, or those in formal positions of leadership responsibility. Rather than emphasise leadership generally, or histories and typologies of leadership theory, the approach is practical and straightforward. Looking at leadership in health and social care from this perspective will make you more effective in your role, and more prepared for future leadership responsibilities. In this module, you will examine key developmental theories concerning psychological development, in conjunction with the concepts of early identification, to promote effective intervention, for optimum mental health in children, adolescents and their families. A range of factors drawn from genetic, cognitive and environmental influences will be critically evaluated. This module looks at psychological and social factors associated with physical illness, the impact of illness on individuals, psychological intervention, and how this knowledge can be used in healthcare and social care practice. Alternatively, students may undertake a module from the MSc Advanced Practice in Health and Social Care (Child and Adolescent Mental Health). As a graduate of this programme, you will gain a deep understanding and knowledge of adult mental health. This will enable you to work effectively and collaboratively across professional agencies and boundaries. The professional areas of mental health and social care. Successful completion of the MSc enables you to fulfil the requirements for higher-grade, senior advanced practice posts in health and social care. It will also qualify you to apply for research posts and conduct independent research. Full-time: one year (two days a week) for taught modules, plus up to one year for dissertation. Part-time: two years (one day a week) for taught modules, plus up to one year for dissertation.